The customer submits his credit card for payment. 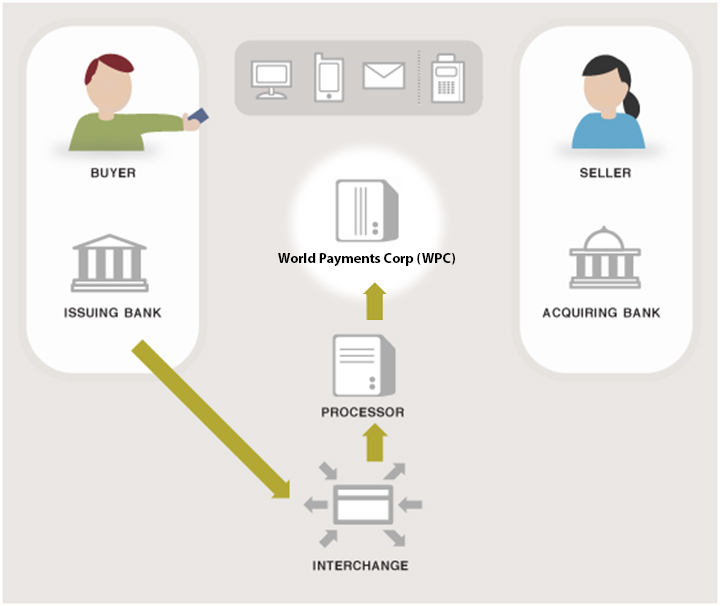 World Payments Corporation (WPC) manages the complex routing of the data on your behalf through the following steps/entities. 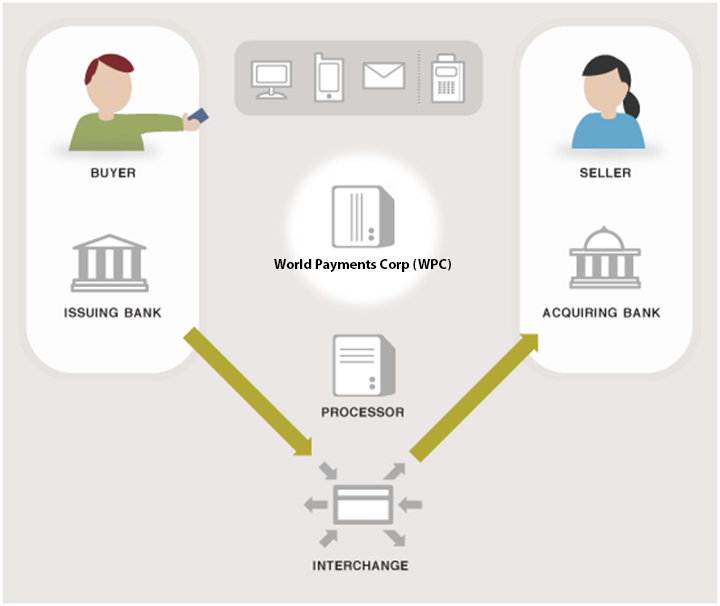 World Payments Corporation (WPC) passes the secure transaction information via a secure connection to the processor. 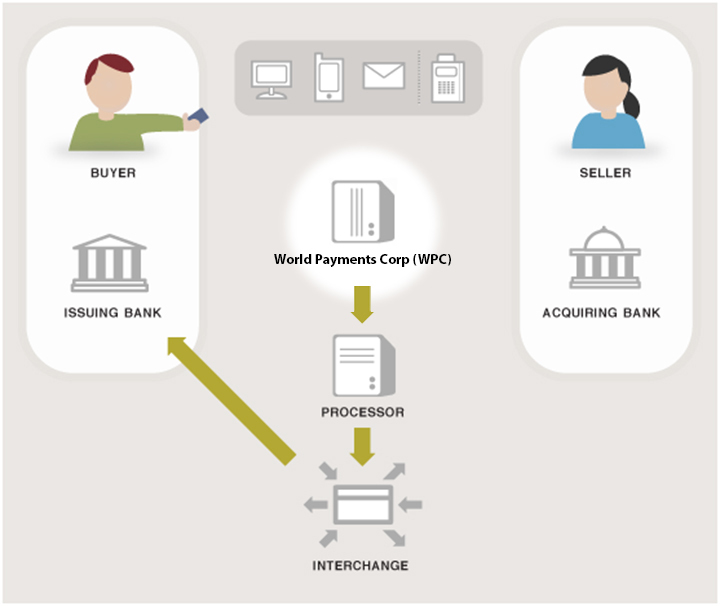 Your bank's processor submits the transaction to the credit-card network (like Visa or Mastercard). The credit-card network routes the transaction to the bank that issued the credit card to the customer. The issuing bank approves or declines the transaction based on the customer's available funds and passes the transaction results back to the credit-card network. 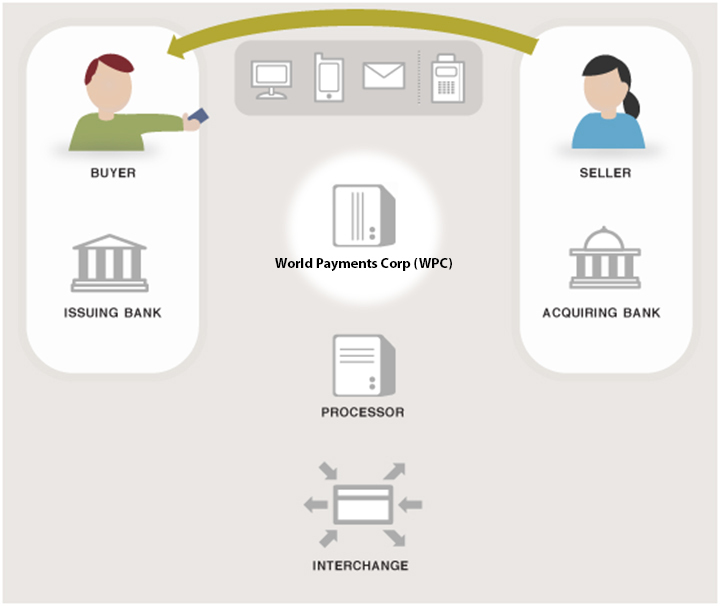 The credit-card network relays the transaction results to your bank's processor. 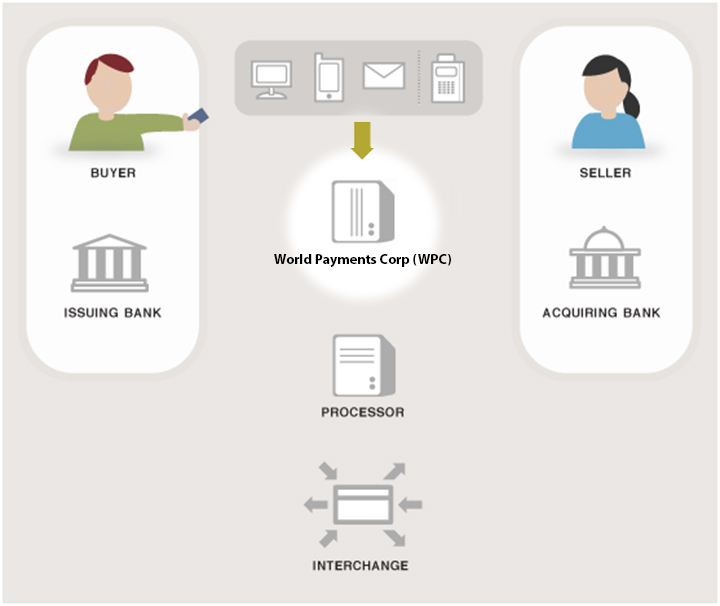 The processor relays the transaction results to World Payments Corporation (WPC). 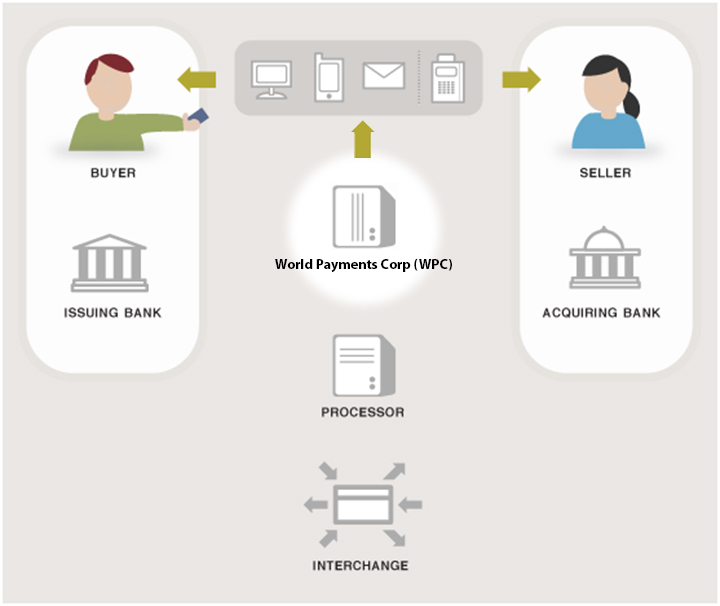 World Payments Corporation (WPC) stores the transaction results and sends them to the website for you and the customer to see. You deliver goods or services to the customer. The issuing bank sends the appropriate funds for the transaction to the credit-card network, which passes the funds to your bank. Your bank then deposits the funds into your bank account. This is called 'settlement', and typically the transaction funds are deposited into your bank account within two to four business days.